That initial “precious baby” stage is already over, so no need to stress over little nicks and imperfections—they’re already there! You’re getting either (a) something originally very expensive for a lot less, and/or (b) you’re getting something of much higher quality for the same price as something new, which is probably mass-produced without the attention to detail you get at higher price points (e.g. Prada vs. Michael Kors). You’re reducing the aggregate demand for new products, thus reducing demand forecasts and further reducing future landfill. While there are perks to shopping at boutiques of newly-made products, like the service and attention of staff, the accoutrements of purchase like a fancy shopping bag and box, and even perhaps an elegant wrapping, it is important to know that there is a cost to these things. The margin between the cost of goods sold (COGS) and retail price includes a bunch of filler: advertising, wages, rents, logistics, and of course a hefty profit. This is why products left in stores at season-end can be put on 50% discount and still be profitable to the company. I’m not saying you shouldn’t treat yourself to new things. After all, there is an inherent gamble in shopping solely second-hand, since you never know what will appear (it had to have come out of someone else’s closet). Shopping new gives you more choice, of course. Shopping new at full retail price gives you the most choice, and this is another reason why it is so expensive. Discounting inherently thins the selection, so by the time 50% off rolls around, your prized item may be long gone. 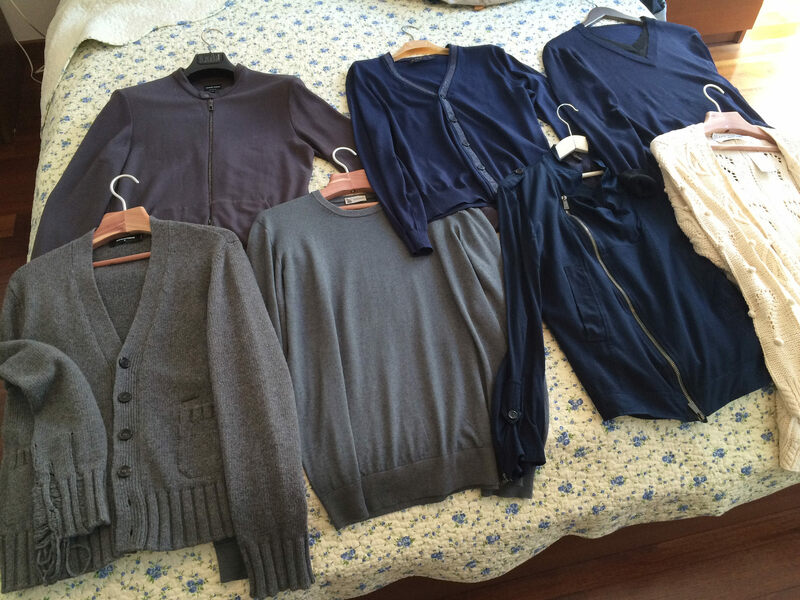 In any case, I have enjoyed quite a bit of second-hand shopping in Milan, and it has allowed me to indulge in a greater volume of acquisition than I would be able to afford if shopping for new things. You should try it! If you know of others, leave a comment below!